We are a step away from the year 2015, and many of us are looking for a new start with the start of another great year. However, making changes are much easier than envisaged, especially with a dental makeover with your General Dentist in Dubai. It’s easier than losing weight, which takes time and getting organized is about building good habits, but with a dental makeover, you can brighten your look, for a new you and it’s so simple. Sometimes, when we look in the mirror, our smiles are not as white as we think they are or they are not as white as they used to be, sometime ago or has that gap that has been bothering you throughout your teenage years just seem to have got bigger and wider, as you have just hit your 30s. Whatever your tooth problem may be, there is a simple cosmetic dentistry procedure that can fix it and give you back your dazzling smile. 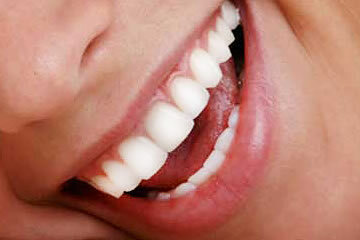 Teeth Whitening – Teeth Whitening in Dubai is a simple treatment and can have a drastic effect on your smile. It can be done at home with teeth whitening kits or at the dental office for more dramatic results. Depending on the type and product that you select to whiten your teeth, it can literally brighten and whiten your teeth up to 10 shades in a short period of time, when they are whitened professionally as opposed to at home dental trays. However, teeth whitening should not become a regular treatment as it can cause serious damage to the teeth, it’s best to check with your dental professional the frequency in which you should whiten your teeth and preserve your pearly whites. Dental Bonding – Dental bonding can help those who are unhappy with gaps in their teeth and chipped tooth’s. Dental bonding fills in gaps between the teeth or restore a natural appearance to a chipped tooth. Dental Implants – Dental Implants in Dubai are an ideal choice to replace a missing or lost tooth. Dental implants are made to look and feel like your natural teeth, and the best part of all is that they are permanent and look and function just like your natural teeth. Veneers – Veneers in Dubai are thin pieces of plastic or porcelain that help improve the appearance of teeth that are crooked, unevenly shaped, stained or chipped. Crown Lengthening – For those who have teeth that are smaller than normal, then a periodontist will perform a procedure called cosmetic crown lengthening to make the teeth appear longer and remove excessive gum tissue. Most Dentists do offer special savings on dental makeovers with a discounted dental plan, which will allow you to complete most of your dental work, including cosmetic dentistry without feeling the pinch, especially during the holidays.